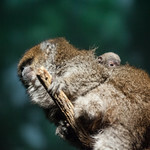 Bolivian gray titi monkeys are small primates with thick, fluffy fur and tails that can reach up to 19 inches in length. As their name implies, their fur is often gray, although it can range to orangish-brown in color, particularly on the belly and chest, with white ear tufts. 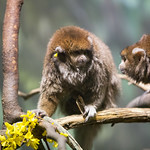 This small primate species is found in Bolivia, Paraguay and Brazil. 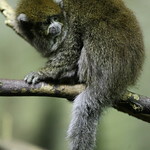 The species is common throughout its range but faces potential decline due to habitat loss. 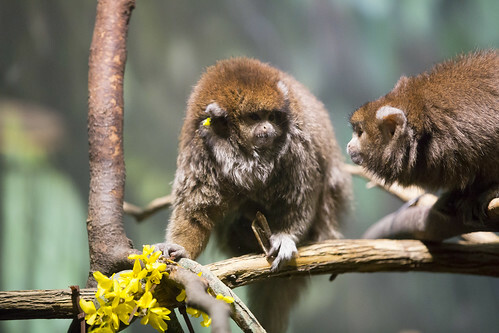 Lincoln Park Zoo cooperatively manages Bolivian gray titi monkey populations with other institutions in the Association of Zoos and Aquariums. 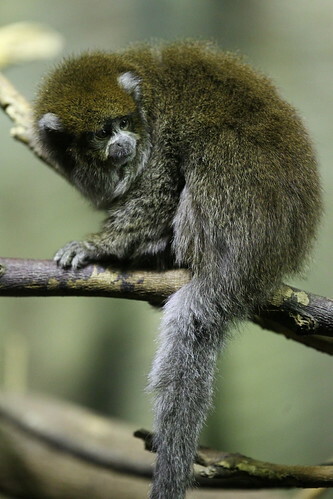 Bolivian gray titi monkeys occupy rain forest habitats, where they live an arboreal lifestyle among the trees. 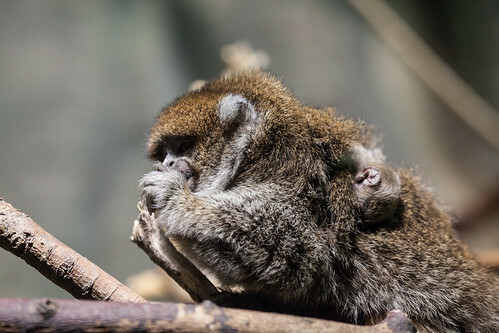 Bolivian gray titi monkeys feed on the fruit and leaves they find in the trees of their home, with insects composing a small percentage of their diet. 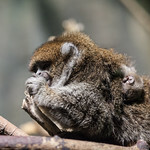 The species is monogamous, living in family groups consisting of two-seven individuals. Males contribute to the rearing of new offspring, often carrying them through the canopy. Females typically give birth to one offspring per year. 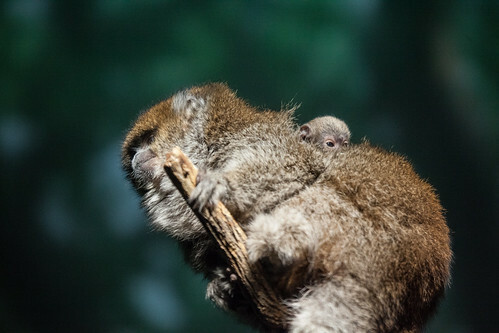 Bolivian gray titi monkeys are often observed twining their tales together as they perch on branches. Scientists believe this behavior helps to enhance a group's social bond.